You may need an experienced worker for your situation, first, you are emotionally involved, second, there is a child involved. I am not saying this to change your mind, just for your to clearly see what the outcome might be either way you go. On a personal note, I would use Separation Spiritual Supplies, not Hot Foot because it has a very intense, vengeful, crossing, cursing edge. Start with some healing for yourself and your son and definitely incorporate protection, both are needed. You mentioned that you had a reading three months ago, and at that time you were not clear on what you wanted to do. Separation Spiritual Supplies (http://www.luckymojo.com/separation.html) has a healing and calming effect and is intended to drive someone away. Read the site for further recommendations. I greatly appreciate your time and knowledge. I will definitely look into the products that you have recommended. Healing and protection does sound like good advice along with everything that you recommended. You are correct. I am emotionally involved and this makes things a little more intense. I've been having, "I've had it!" feelings for a while now and I need to think things through for the sake of my son. The more soul-searching I have done after my reading the more upset I got at myself for not doing something sooner. Then, regret and a sense of "the stupids" sets in. I don't want these feelings to fester. I love my son dearly and I want him to be O.K. I wish you the best in whatever you decide to do. Be strong. No one deserves to be treated the way your husband treats you. 6 years ago I walked away from a bad marriage. Best thing I could have ever done. Now I have a husband that loves me and respects me. If you are ready to move on, I would suggest Cut and Clear kit, walnut bath and protection kit for you and your little guy. While you decide, I would also suggest having LM set Clarity lights for you. Thank you for the support and advice Believe129. I'm still a little numb from realizing what I've let happen to me. And, every day is a struggle for me. My reader suggested, among other things, that I work and save for now and I've taken that bit of advice to heart as well. Lesson learned and I still have a full life to live. I sure do want to make things better for me and my son. And, someday, hopefully, I'll be passing on positive advice to someone else. Thank you, again. I greatly appreciate it. I have also left my sons dad about 10 years ago and found a wonderful man. I'm fairly new to all this, but I thought maybe some sort of healing/tranquility products would be good? Maybe someone else can put input on those two, maybe using the powders to dust your pillows and sheets or self after a bath/shower after you have done the other things suggested. I am so relieved to hear from strong people who have decided to change their lives for the better. My son and I will definitely be in need of healing so I am looking into these products. Also, tranquility and protection are in order...you are right. I truly appreciate your insight. Your welcome, strength be with you and believe me when I say that things will get better, my heart goes out to you. I just remember thinking after reading some of the posts and trying to become more and more familiar with lmcc products that I wish I had some tranquility/healing products back then! Thank you from both myself and my son! I have a unstable environment with a man who is a time bomb. I want to leave him but I can't, as he knows where I live and where my family lives. I cant get away from him and feel powerless. He used to be violent, but I was able to deal with that by getting some people involved to deal with him. Last edited by Joseph Magnuson on Thu Jan 26, 2012 9:06 pm, edited 2 times in total. 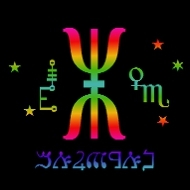 Free will is something we all have, always, and spell work can't take it away. You are acting in self-defense, so really whatever works should be considered fair game. "Cut & Clear" is a good formula for this kind of thing. If you are afraid for family members, do protection work for them. Lucky Mojo has a full range of "Fiery Wall of Protection" supplies. If you can find a way to go to where your family members live and clean house without their being suspicious, you can use floor wash to protect the home. Sachet powder can be laid around the property. If the man himself is intent on you still, don't be afraid to use enemy tricks like "Hot-Foot", "Confusion" or "Crossing" to make trouble he'll have to pay attention to you instead. He sounds like he is capable of making trouble for himself. Work like this isn't violating free will, it is more like a judo move where you let an opponent's momentum in a certain direction overcome him for you. Take care of yourself, and good luck! I dont want to be standoffish. Get out now. Go to a friend's or relative's place, or a women's shelter. Get a restraining order preventing him from coming near you or your family. If he does have him arrested. He's eventually get the idea after a few nights in jail. Pray Psalm 91 and ask Archangel Michael to protect you. Get a Fiery Wall of Protection spell kit from Lucky Mojo, which includes everything you need. Hoodoo does not include the ideas of "karma" or "three-fold return". The only criteria is if a work is justified in the eyes of God. You are living with a man who has no interest in begin good to you, no matter what magical work you do. He's not interested in being your true and equal lover, only in being your master and jailer. You deserve better. I don't think any of us could improve on Mama Micki's advice. Get a rootworker to do a Fiery Wall of Protection Spell on you AND your family, and perhaps some kind of justice or punishment work on him. And then LEAVE. Get a restraining order. Find a women's shelter and AT LEAST ask them where you can find legal help. What kind of work should be used in a situation like this? violates our forum rules. All threads must be titled to accurately reflect the topic; "please help" is not good enough. which seems to be what the topic of the question actually is. Thank you Catherine that is a better title I'm no good at titles I seem to get them wrong but this one sounds much more informative. And to the point. Thank you Mama Micki, Miss Tammie Lee, MissMichaele, Caliban that is good advice. Actually how does cut and clear work can the person resist the effects of this? How will the person break away will they view you in a different light and then back off or will something happen to make them back off? Cut and Clear is for YOU. It breaks the residual love you have for your abuser and allows you to finally seek real and true love and companionship. Whether or not he tries to resist -- YOU will have changed and will then begin to make good decisions about your safety and happiness. I have a unstable enviroment with a man who is a time bomb. I want to leave him but I can't as he knows where I live and where my family lives. I will not give you advice on trying to dominate him after what you wrote in your first post. I believe, as others have stated, that you should seek competent social services help, legal help, and support services where you live. My mother gave her boyfriend many chances. He still continued to beat all of us, my mother and her (at that time) two children. The police couldn't help for more than a night. She had to take us and finally RUN off in a small rental van in the middle of the night. We stayed in a woman's shelter and then stayed with family when we could finally get there. I thank her everyday for doing this and keeping me, and herself, alive. She had stayed in the relationship and had given this man chances for 4 horrible years that we will/can never forget. Get help and get out. Thank you, Joseph, for sharing your story. No one should live with abuse. I'm glad your mother had the courage to do what she did. Blueberry, if you family thinks you should "submit" to a man you aren't even married to ( I assume, since you do not refer to him as your husband), you need to start rethinking your relationship with them too. If he is abusive verbally or physically, you need to cut all ties with him, including phone, email, mail, and personal contact. Do a Black Walnut bath to get him out of your life forever. Thank you Mama Micki...I am glad as well. Blueberry, I'm sure we're all breathing a sigh of relief now that you are rethinking your situation. You've gotten good advice. Do strong protective work, too, AND mix King Solomon Wisdom or Clarity into everything to keep your mind clear. Use these products every day on your hair, too. Tranquility and healing products will work to help to calm you and heal your emotions. All the instructions are on that page and you can get the spell kit from Lucky Mojo with EVERYTHING you need. I would also suggest some conjure for yourself to give yourself strength and clarity. Work with clarity, power, and sun products to regain some personal strength and confidence. Use the baths, powders and oils on yourself. Anoint candles with the oils and pray for your strength and self confidence to return. Thank you for sharing your story Joseph Magnuson it was touching and inspiring. Thanking everyone for the inputs and suggestions this advice is good. You're very welcome Blueberry. Please keep us updated and make us proud by getting the help you richly deserve and need! Pack and pray. I have been in this situation and you need to get some protection products and you also need to leave and go to a womans shelter and get as far away as you can and get someone to do some work to make this man leave you alone forever. You deserve much better! No offence to anyone I mean no disrespec. I feel Ive said too much and feel silly. thanks for advice and information, really appreciated. i am leaving this forum. Folks, Blueberry has been banned for repeatedly blanking her posts in this and other threads. She tried to wipe out all records of what she was telling us about her violent, abusive partner -- and she seemed to be in danger. All i know of her is that, based on her IP address and email, she lives in the UK. I have removed most of her blanked posts from this thread, but i was able to reconstruct some of what she posted, based on quotes i had made from her texts, and i reinserted those texts into some of her blanked-out posts. It is very frustrating to all of us that we spent so much volunteer time trying to reach out to and help this very confused woman who is dealing with a violent man in a dangerous situation -- and then she eliminated all of her texts. This is an experience that many in the social services can relate to, of course -- first there is the cry for help from the victim of spousal abuse, and help is offered, but instead of following a program that leads to safety and personal growth, the victim feels embarrassment, guilt, fear of retaliation, or a simple belief that the batterer will "get better" -- and then the person you are trying to help just "disappears" back into the tragic situation and you are left holding the bag, wondering if they are safe. Good luck, "blueberry." I am very sorry we could not help you. If you want to come back with a new user name, you may do so. get rid of a manipulator, please help! is there a product that can get rid of a manipulator? my friend needs it A LOT! the manipulator is my friend, or at least, thinks my friend. is harming my and i can't get rid of "GRR!" so thanks if you help me get rid of ! Re: get rid of a manipulator, please help! Can you please be more descriptive. "My friend is being manipulated"-- by whom? Why do you believe this is taking place, and for how long? How is the manipulation effecting the person's life? Is the friend a friend, or a need to know? There are a variety of products defined to 'get rid of' etc. etc. Banishing (http://www.luckymojo.com/products-banishing.html) is designed to get rid of unwanted people. Read about the qualities of each and you decide...if you want a milder side, use Banishing, if not, go with Hot Foot. I want to end my current relationship with my partner. We are not married but share a deep commitment to one another. and try to remain friends but I know that it would never work. We have tried to break up many times but find our self back here. I want him to be happy but i hate the thought of him being happy or successful without me(selfish). I feel isolated and very unhappy. if any of these steps are performed wrong, do i start over?? Do they have this in book form to order? How do I protect me&my child from some1 we live with? A few years ago I called the show to get help with rotten neighbors only to find out I have the Ultimate Betrayal. My husband and my mother have worked against me for years. (I found out 11/1/11) I have lost jobs, businesses, friends, helpful people & support. My mother and my husband were in an uproar when I began educating myself in hoodoo root work. They were very uncomfortable when I said I was going to call the show. I believe they were afraid of what would be revealed. I know the first reaction is move. I did move at the beginning of 2011. When I moved out I lost my job and my home. I had to move back. I desperately want to get away from him. I do not have any friends/family I can move in with temporarily. My friends and support have moved away. I have a daughter from a previous marriage. My husband is military and we are stationed here. I am unable to turn to my mother for help. She gets off on the turmoil I'm in. I used to tell her everything and things would get worst as I stayed in contact with her. I feel trapped like a pet. Child support for my daughter stopped and the courts stated that the case was being transferred and it will take a while. When I work I make more than him and manage money better. However my savings was dumped into debts he left me with when he deployed a couple of years ago. He didn’t pay car/house insurance, car notes cable etc for 3+ months deployed and I received notices and calls to pay up. Things like this kept re-occurring but every time I’d plan my escape tragedies happen or I would lose my job. I got a job a few months ago and I was released within 30 days then they withheld my paycheck. I interviewed for a job out of state and they haven’t chosen a candidate yet and they aren’t in a hurry. I am applying for jobs in state & out of state. How do I bind him and his family from working against me? How do I clear the way to get a job so that I can leave shelter and feed my child? I am aware I can walk away from everything and live in a shelter with my kid. I do not want to do that to her. Everything in the house I worked for and purchased. He has invested in electronics, alcohol and debt. I do not deserve this and neither does my daughter. Cat read for me a year ago but I wasn’t aware of my husband’s activities. ConjureMan Ali read for me a few months ago concerning my surroundings with neighbors. ConjureMan Ali did tell me my husband wants to have power over me. I emailed ConjureMan Ali for root work and I am currently making payments as I receive money to pay for help. But what do I do until I have completed payments. Yesterday I drank something out of the fridge and I was asleep within a few minutes then it happened again last night after I poured the same crystal light. That is when I realized there is something going on. I immediately told my daughter to drink tap water. I do not trust this man. Monday I am going to family advocacy & family support to find out if the military can move us out. I don’t know where we will go but I need to know what my rights’ are as a spouse. I would like to work and move out of here. I don’t care about the beauty of the place. If it’s an efficiency apartment with a twin bed we share it’s better than being trapped here. I apologize for the "novella version" but I felt a clear description of what has occurred would help. Re: How do I protect me&my child from some1 we live with? First, please get a lawyer if you don't already have one; you're going to need that support to break ties with your husband. Please ask ConjureMan Ali, if you feel comfortable with him, to apply for Pro-Bono work from the Association of Independent Readers and Rootworkers; the members can submit applications for clients who have little to no money but who really need rootwork help. I would go with Separation products for this. Also get some Blessing powder. Get two figural candles and load each one with concerns (his concerns in the male candle, your concerns in the female one), dress them with Separation oil, and place them back to back. Tie a string around them that represents your current commitment - you can loop it once around, thrice around, or seven times around. Get a pair of scissors and dress it with Separation oil. On the first day of the work, state that you are cutting away the ties that bind you and use the scissors to cut one of the loops of the string. Light the candles and let them burn for about 10-15 minutes, while praying that you two be peacefully separated, then snuff the candles. Repeat that daily for however many loops you've tied. Once you've cut away all the string, burn the string while praying that all ties be burned away. During the time that you are working this, burn Separation incense or diffuse Separation oil throughout your home. Get some Separation bath crystals and dissolve some into a spray bottle, and use that to spritz the sheets of your bed. You can wear Separation oil or powder on your own body, and put the powder into his shoes. Pray for the peaceful separation of you two as you do so. This should really help you make a clean cut with as little drama as possible. After years of physical/emotional abuse, what do I do now? Wow where do I begin. I really need help with this part of my life. I met my childs father when I was in college, he was a drug dealer. How we met was through one of his customers and on our first "date" we took ecstasy and some how his friends at the time raped me. Some how we stayed together and I eventually had a baby by him. I guess I stayed with him because I was always the type to want to have a family and a boyfriend. The whole time we were together it was always some kind of physical or mental abuse involved. He never really showed me much respect or care. I remember many occasions when he would leave while I was asleep, I would wake up and not find him, Or I would wake up and my car was gone, I remember him throwing my money in my face, if we would go out he would walk so many steps ahead of me. Or he would fight me infront of our child. I am not sure if he was cheating on me or abusing drugs or both, I am not sure why he treated me that way, or why he was never around. Anyways after 5 years of abuse I found the courage to break up with him. I took our child but some how I found myself again at his mercy when my mom kicked me out of her house and I had nowhere to live. I left our child with him. I am a little bit more stable and I took our son back. He is upset that I took our child, I got a reading the other day and the lady told me that he might be after me to hurt me and take back our son. Not only that mental abuse, believe me is very powerful, eventhough it has been 4 years since I broke up with him. I found myself last year begging to be with him for the sake of the child. I also recently found out that he has a new woman that he has been with for possibly longer than we have been broken up I am not sure. He has not been helping me with our child financially at all or offering me any kind of positive support @ all. Not only that I feel that he might have done something to tie me, because ever since I have been with him, I have not had ANY healthy relationships at all. I cant seem to meet any nice guys that I like or like me back. And not just nice guys decent guys with good jobs or with some substance at all. I do know what I want. He never did deserve me, I want to get over him. And I want to move on finally to a happy healthy relationship. I already tried cut and clear and I dont think it worked I think I might need something stronger. Re: After years of physical/emotional abuse, what do I do now? Get a reading ASAP. In the meantime, do a 13-herb bath to cleanse yourself of anything negative whether is from outside or inside. If you truly don't want to see him again, you should do a black walnut bath. 13 Herb Spiritual Bath (http://herb-magic.com/13herb-bath-13.html) to remove crossed conditions. I would follow this ritual with positive spellwork Van Van Spiritual Supplies (http://www.luckymojo.com/vanvan.html) to clear away evil, provide magical protection, open the road to new prospects and change bad luck to good. Here is the Black Walnut Spell (http://www.luckymojo.com/cutandclear.html), I included both the Cut & Clear and the Black Walnut Spell to give you further details on how the spell works. Definitely read, "A magic spell to destroy your past connection to a lover or friend and draw a new and better lover or friend to you in the near future"
Both Mama Micki and jwmcclin have given excellent magickal advice. On a more mundane level, please make sure that you take advantage of the counselling and financial services for women who have been through abusive situations. Talking and bonding with other women who have been through the experience, as well as working with financial alternatives to put you and your son on a solid footing, will usher in new strength and motivation to get further toward that rewarding relationship and caring atmosphere and place you deserve to be in. Also consider looking into doing Healing and Blessing work for yourself and your son (baths and some of the water in the clothing wahser comes to mind) throughout this period. Anyways I did try the cut and clear candle and in waiting on a response from LM, I reflected on the events around me lighting the cut and clear candle and it did help me a little, I met someone that changed my views on relationships, and how to handle myself and sexuality as a woman. I bought the van van spell kit recently, I am still waiting on it. Do you still think I should get the 13 herb bath, and use it before I use the van van? When I get the van van I would like to get started but if its best to do the 13 herb bath ill wait. As far as a reading I got it from a friend that was pretty accurate before about some things. I wouldnt mind getting a reading AIRR reader but I would like someone that works strong for my situation. I am also taking him to court for child support, any recommendations ie to sweeten the judge or him to tell the truth. Aura mentioned financial and counseling services, any recommendations? I live in NYC. Good Luck and Blessings to you eagerspirit81. I suggest you use that Van-Van as soon as it arrives and continue with the 13-day bath when it arrives. In your situation time is a more important factor and you should get started as soon as possible. In regards of the upcomming court case you might consider getting yourself the court case spell kit right away:http://www.luckymojo.com/spell-court-case.html. There are a few AIRR workers who specialize in court work. If you get yourself a reading from such a worker you can ask about other recommendations for the court at the same time. I did the van van spell,and at the end of the spell it says to bury the remain of the spell in yellow cloth.I have it tired up here in yellow cloth but I live imin the city in a building with nothing but con crete stronaround any suggestion on disposal??? Thank you. I am looking into the idea of setting lights for a friend of mine who is in an abusive relationship. There has been mental and emotional abuse, and there have also been incidents of physical abuse. I am worried about my friend's safety to the point that I fear for her life . I want to get this guy away from her, so should I set a break up candle for her or a cut and clear or is there some other option? I don't want to do harm against the guy. I just want to make sure he leaves her alone? Re: Break Up or Cut & Clear? NO do NOT do a break up candle as that can cause conflict and physical conflict. 1. I would cleanse and protect her. You can work with Saint Michael for this one and/or do some fiery wall of protection. But I think Saint Michael is the way to go with this one if you work with saints. 2. I would do some clarity and king solomon to help her see the situation clearly and make a good decision. In addition, I would do some courage work to help build up her strength to leave this man. Once she actually leaves then the cut and clear and healing can be done. 3. I would either bind him or freeze him. But if you do anything else work with Saint Michael. He will protect her. You can use Separation products to gently separate the two of them, and a Fiery Wall of Protection light to protect her from his abuse. I wouldn't do anything harsh like Break Up or Hot Foot; it can inflame his anger and only make him worse. She should do a Cut and Clear after the relationship has ended to cut her emotional ties to this guy. first and foremost: make sure that your friend gets a restraining order on this guy! If she's physically in danger, legal help is necessary, not only magickal help. Encourage her to go to a women's shelter if that's what it takes. Candle wise, I would set Fiery Wall of Protection and/or St-Micheal candles for her safety. Clarity, King Solomon Wisdom and Crucible of Courage can help her obtain the insight and extra push needed to leave this man. And for him, consider making a doll baby and binding him into a mirror box with it. Alternatively make a crossing bottle on him and drop it into a river that flows far away from where you and your friend reside. Blessings and best of luck. Do keep us updated on what transpires. If you decide to do the crossing work, do that AFTER she's in a safe and good place. Crossing him up if she is still with him, may affect her too. So just be cautious and mindful of that. Thank you all for your suggestions! It's greatly appreciated. I will work on protecting her first, then I will use gentler separation methods and avoid things like Hot Foot. As I said, I don't want to harm him. I just want him away from her. I agree, I would work on protection and cleansing your friend first, not doing anything that could flame the guy even more then he already is at this point. Maybe work on your friends (inner) strength too to make the step of leaving al little bit easier if necessary. I too agree with aura and starsinthesky7. Cleanse and protect your friend first, are children involved? Keep your friend safe and always be your friend in your side and talk to her most of the time. Please help me break up a couple ASAP! I have a couple that need to be separated as soon as possible but I'm not sure where to start. He is an awful person that needs to be separated from his girlfriend as soon as possible. Unfortunately he convinced her that he's a good person but he's really a manipulative, lying coward. She wouldn't be with him if she knew all of the things he's done. The worst part is that he is completely unable to see himself for who and what he is and has convinced himself that he has done nothing wrong. While he owes me an apology for all of the things he's done to me, my priority right now is to protect her and remove him from her life before she is hurt too. Can someone please help me determine the best method to separate these two people for good? Re: Please help me break up a couple ASAP! The rootworker can give you a better look at what would be the best way to break them up.